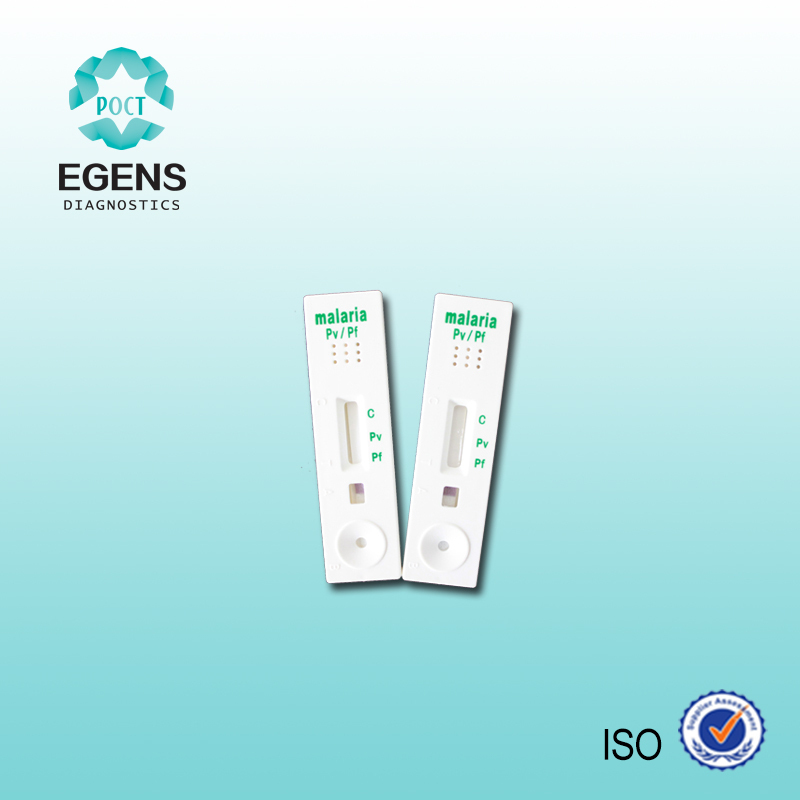 For the rapid qualitative determination of Malaria P.falciparum specific histidine rich protein-2(Pf HRP-2)and malaria P.vivax specific lactate dehydrogenase (pLDH)in human blood as an aid in the diagnosis of Malaria infection. Malaria is a serious parasitic disease characterized by fever, chills, and anemia and is caused by a parasite that is transmitted from one human to another by the bite of infected Anopheles mosquitoes. There are four kinds of malaria that can infect humans: Plasmodium falciparum,P.vivax,P.ovale,and P.malariae.In humans, the parasites migrate to the liver where they mature and release another form,the merozoites. 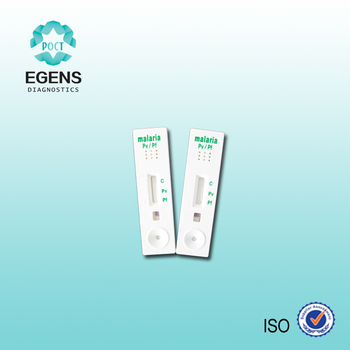 The One-Step Malaria pf(HRPⅡ)/pv(pLDH)Antigen Detection Test Device(Whole Blood) contains a membrane strip,which is pre-coated with two monoclonal antibodies as two separate lines across a test strip.One monoclonal antibody(test line 1)is specific to the p.falciparum histidine rich protein-2(Pf HRP-2) and another monoclonal antibody(test line 2) is P.vivax specific to the lactate dehydrogenase of Plasmodium species(P.falciparum,vivax,malariae,ovale).Conjugate pad is dispensed with monoclonal antibodies conjugated to colloidal gold,which are specific to P.falcparum histidine rich protein-2(Pf HRP-2)and P.vivax specific to the lactate dehydrogenase of Plasmodium species. Collect whole blood into a collection tube (containing EDTA,citrate or heparin) by venipuncture. If specimens are not immediately tested,they should be refrigerated at 2~8.For storage periods greater than three days,freezing is recommended.They should be brought to room temperature prior to use. Using the specimen after long-term storage of more than three days can cause non-specific reaction. 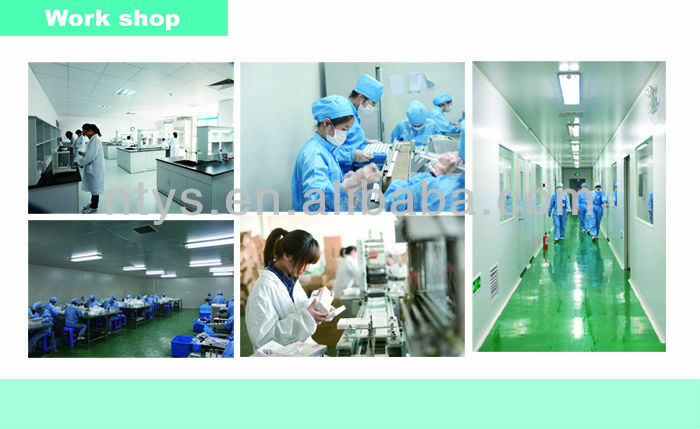 When stored at 2~8℃,the whole blood sample should be used within three days. 1. Add 5μl of whole blood into sample well(A),the small well. 2. Add 2-3drops of assay buffer into developer well(B). 3. Read the test result in 20 min. Positive: In addition to a pink colored control (C) band,one distinct pink colored bands will also appear in the test (T1orT2) region. Please consult your physician to perform a much more detailed exam. Negative: Only one colored band appears on the control (C) region. No apparent band on the test ( T1orT2) region. 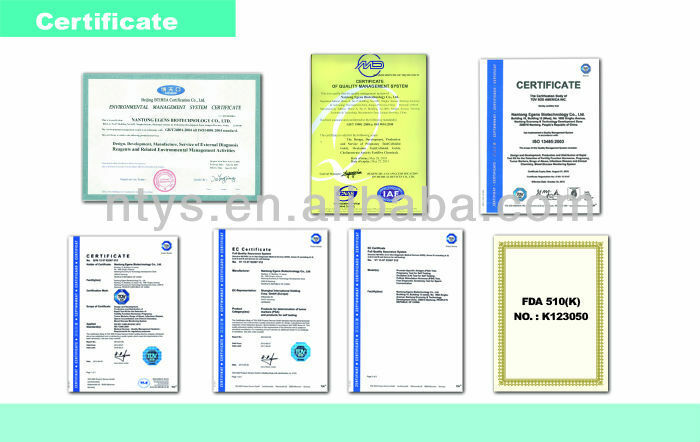 For professional in vitro diagnostic use only,Do not use after expiration date. Do not eat,drink or smoke in the arer where the specimens or kits are handled. Handle all specimens as if they contain infectious agents.Observe established precoutions against mocrobiological hazards throughout testing and follow the standard procedures for proper disposal of specimens. Wear protective clothing such as laboratory coats,disposable gloves and eye protection when specimens are being tested. The kit can be stored at room temperature or refrigerated(2-30℃). The test device is stable through the expiration date printed on the sealed pouch. The test device must remain in the sealed pouch until use.Do not freeze.Do not use beyond the expiration date.